← Which House of Representative member smokes? Just saw this and thought I’s share! Was that the reason for the poll this AM. Which House of Representative member smokes? Ha ha ha ha!!!! I love it! 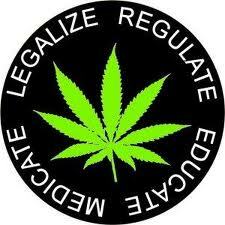 LEGALIZE MARIJUANA, it will make the world a better place. Absolutely agree, the Police and BDF have better things to do than searching and the counting, yes I am told they actually count the plants, before slash and burn. People are in Jail for having one smoke of week on them which achieves nothing but puts those youths in jail with real criminals. I have never used weed but have read and have been told so many times of its properties. I have never read of anyone getting high on weed and beating up or driving under the influence like happens with alcohol from our many, many roadside bars. it really is heartbreaking to see how many people are in jail for weed…which is just, lets face it, a training ground for how to become a real criminal.